To me, wealth without risk is virtually impossible. The goal for investing should be to mitigate that risk as much as you can. Avoiding all risk is as easy as trying to dodge rain drops in a storm. But when someone says they want wealth without risk, it typically means that they are risk averse. They don't want to risk their money to unseen forces or the game of chance. What's interesting is when you look at their "investments" and see if they really have it in their plan. I'll tackle two investments that are frequently viewed as safe investments. 401k retirement plans are often sold as safe investments for retirement. Put your money in, get free money from your employer, adjust your portfolio to your current situation, and pay less taxes in the future. Yet, when I view the 401k, I do not just weigh the risk of a declining portfolio. That is only 1 facet of risk when considering your money. Let's address the obvious. Risk arises when you meddle in something in which you are unfamiliar. So, if you have a knack for stocks, bonds, mutual funds, etc., then a 401k plan may be right for you. But, don't forget that even seasoned veterans swing and miss when it comes to the market. When I enrolled in my now defunct 401k plan, it was easy to contribute. Money was removed from my paycheck without any worries and without any thought. The free money as the employer match was added automatically as well. The company's profit sharing was added at the end of the year with equal ease. The "getting money in" part was a cinch. But, people rarely think of how to get the money out. Your money in a 401k is like a casino. It's easy to get in but once you're in, there is no easy accessible exit. You risk your liquidity with money in your 401k. What if you need that money in an emergency? You can only take it out under special circumstances like a home purchase, higher education, and medical expenses. However, my number one risk is: opportunity cost. What if you have the opportunity to invest in something that will consistently beat your qualified retirement plan? What if you want to start a new business to earn or make online money? Your money is locked up and cannot be removed without penalty. Many think, "Well, if I own my home, then no one can take it away." The truth is, you really don't own your home. The state does. Try not paying your taxes and see who really owns that home. What about the equity in your home? Is that safe? Nope. It doesn't matter if you have doubled up your payments for 10 years or just have one year left on your attempt to pay off your mortgage early. If you do not make that next month's payment, you are at risk of foreclosure. Who do you think a bank would want to foreclose on first: a home with equity or a home that is mortgaged to the hilt? It would be a home with equity because they are able to recapture their losses faster. Plus, the equity in your home isn't protected against lawsuits. You risk your liquidity with equity in your home. There are only 2 ways to access the money in your home. You either have to sell or get an equity loan. Thus, the money is not liquid. Unlike the 401k, you don't risk opportunity cost, you incur it. The money in your home does not earn a rate of return. So, you have given up the opportunity to earn interest in another vehicle. Wealth without risk is nearly impossible. And when you consider a 401k plan and paying off your mortgage, this ideal is butting heads with these strategies. Risk will always be there. Our goal is to mitigate it as much as we can. However, there are a couple of strategies that I think will get you close to wealth without risk. There is a financial strategy which utilizes a vehicle that keeps your money safe, liquid, and earning interest. On top of that, it will outperform any 401k plan. It's called the Infinite Banking Concept. It's a concept that banks use today. Ever wonder how banks many money? Could it be the closest thing to wealth without risk? This strategy has nothing to do with investing but everything to do with financing. So, you really don't have to rely on the performance of the market.. If you don't at least read about it, you may be risking a wealthy opportunity. Site Build It is what we use to create this website and give you free, valuable content. 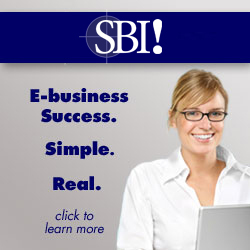 SBI can take your passion and help you turn it into a business. DON'T know how to build websites. DON'T know how to market on the Internet. DON'T know how to write effective articles. When I was reading site build it reviews, I found that people were able to make money online talking about baby food, birthday parties, and even juggling! Seriously, bring your passion to the table, and SBI will help you with the rest. Wealth without risk or wealth with little risk: If you can't have one, why not the other? Return from Wealth Without Risk to Learn to Invest Money. Return from Wealth Without Risk to Choose Financial Freedom.